If you’re in search of a reasonably priced ball machine, the Tennis Tudor Pro Lite is a good choice. 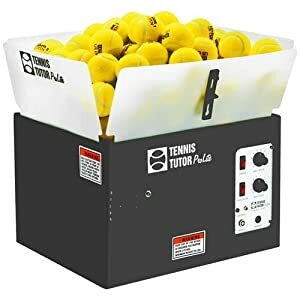 The Tennis Tutor ® ProLite ™ AC-powered tennis ball machine is a great training tool for beginners and pros alike. You can adjust the speed, trajectory and feed for a well-rounded practice. Ball speed is variable from a gentle toss that’s ideal for kids just beginning tennis, to hard-hitting groundstrokes that will challenge even top amateur players.